Zambia is a landlocked nation bordered by nine countries and an island of relative stability in an otherwise turbulent region. With a tropical climate and a landscape of high plateaus criss-crossed with river valleys, Zambia is home to the breath-taking Victoria Falls, the lush grasses of South Luangwa National Park and the Zambezi River. Half of the Zambian population depends on agriculture through smallholder production, and the wider sector employs over a third of the country’s population and contributes nearly a fifth of its GDP. Even as climate change threatens its future prosperity, quietly and assuredly its agricultural disruptors and innovators are radically reshaping the nature of farming industry to meet this challenge. For Zambian farmers, the weather is more than just a topic of polite conversation, it’s a matter of life and death. The dry spells experienced in January this year drove fears the country would be food insecure. Luckily, the brief drought in the southern parts of the country was balanced by a good harvest in northern regions. The droughts brought on by El Niño since 2011 have ravaged food production across Southern Africa time and again. On top of the pressures of climate change, there is the factor of a booming African population – Zambia’s alone is set to triple by 2050. Meeting the UN’s Global Goals is a matter of necessity, not choice and we need a technology and data-driven revolution to change the face of modern African farming. Zambia has exported more agricultural produce than it has imported for the last 15 years. This is in part because of the effective provision of fertilizer from companies like Neira’s Investments, which enabled bumper harvests that were exported to neighbouring countries to alleviate the worst effects of drought. Neira’s Investments is part of the MBI Group, a privately-owned group of companies that is active across three continents and for which I am proud to serve as Chairman and Director. Rooted in Zambia, it is focused on five core sectors: mining, energy, agriculture, fast-moving consumer goods and soft-drinks. But the MBI Group is not alone in this agri-revolution. The number of agri-tech start-ups operating across African markets has grown by over 110 percent over the last two years alone, with nearly $20 million of investment. From drone technology to artificial intelligence and mobile apps, Africans are embracing tech to ensure a more profitable and food-secure future. 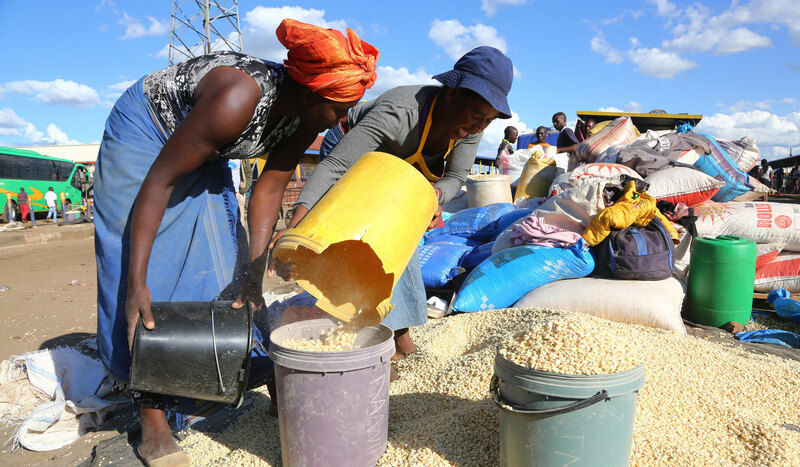 Super-crops are one area of innovation where Zambia is a trailblazer. Imagine rice which can live submerged underwater for two weeks? Or iron-rich beans that can withstand temperature changes of four degrees? What about drought-resistant maize rich in vitamins and minerals? These new crops ensure more secure supply in the face of adverse weather conditions while countering the ‘hidden hunger’ of micronutrient malnutrition. This is important in a country like Zambia where 40% of the population are at risk of stunted growth. Zambia’s international partners have already invested millions in super-crops research, and companies like Neira’s Investments have the skills, experience and infrastructure to work with scientists, entrepreneurs and policy makers to take super-crops to market. Zambian women represent 64 percent of the rural population, but an outsized contribution of 80 percent to agricultural output. They are regarded as the backbone of the country’s industry, but according to UNDP, Zambian women still have less access than men to credit, land rights and services. This constrains their ability – and by extension that of the country as a whole – to adapt to climate change. Zambia’s first female Vice President, Inonge Wina, has been driving forward the Governments’ programme of reforms for greater equality since 2015, including the mainstreaming of gender equality into agricultural programmes. Platforms like the Zambian Women in Agriculture Cooperative Society and SheTrades Zambia have been launched in the last year. The Zambia National Farmers Union has also launched a campaign to involve Zambian women in national leadership roles and important decision-making bodies. This is a compelling example where good public policy meets good business sense. With 70 percent of the Africa’s population directly dependent on agriculture for their livelihood, it is a vital element of the continent’s prosperity. But 40 million Africans faced food insecurity in the last year, a major drag on long-term economic growth and fuel to the fire of conflict and insecurity. African countries need to completely reimagine what their agricultural sectors – that are so full of promise – can achieve. As a proud Zambian, I am passionate about the role that African businesses can play in delivering sustained economic growth and improving food security for millions across the continent. And when I look at the innovators around me in Zambia, I know am not alone in my quest. 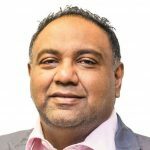 Zuneid Yousuf is the group chairman and a director of Zambia-based MBI Group, a privately-owned group of companies active across three continents. © 2018-2019 MBI Group. All rights reserved.